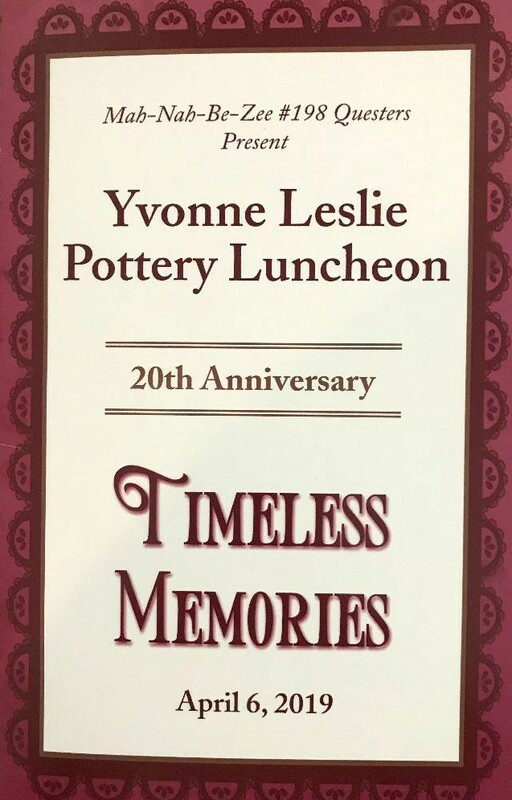 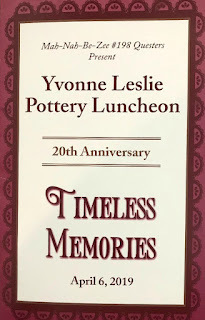 Saturday was the Mah-Nah-Be-Zee Questers Chapter #198 20th Anniversary Luncheon. The theme was Timeless Memories. 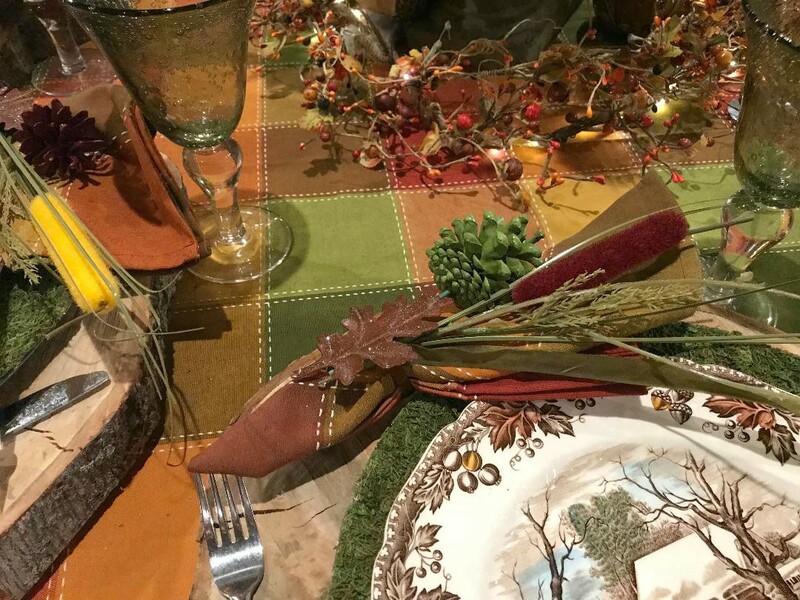 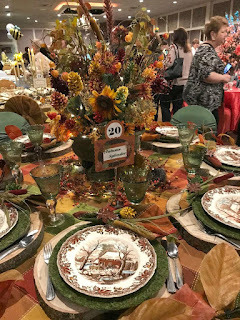 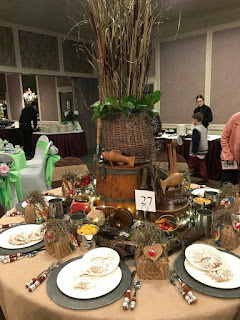 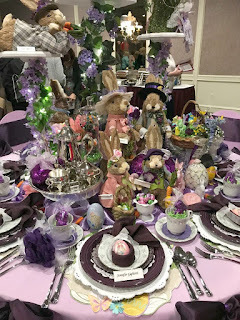 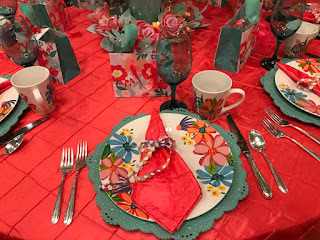 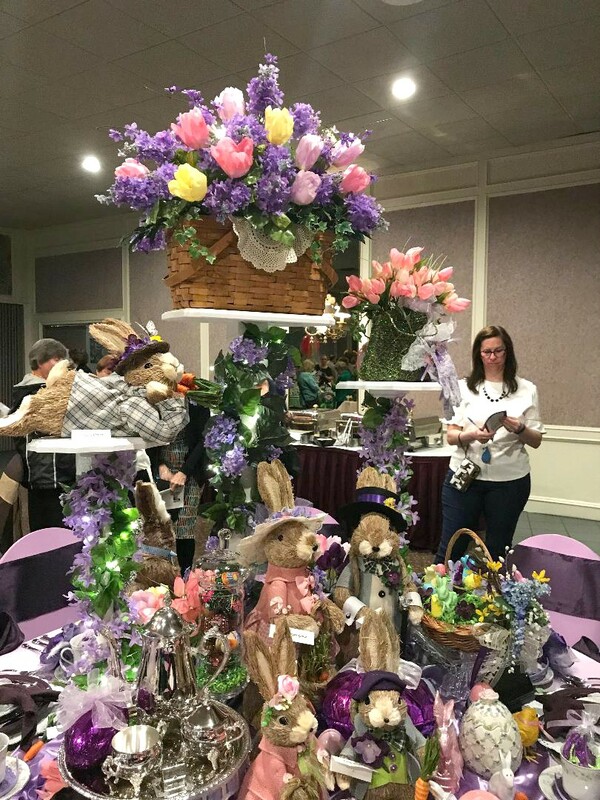 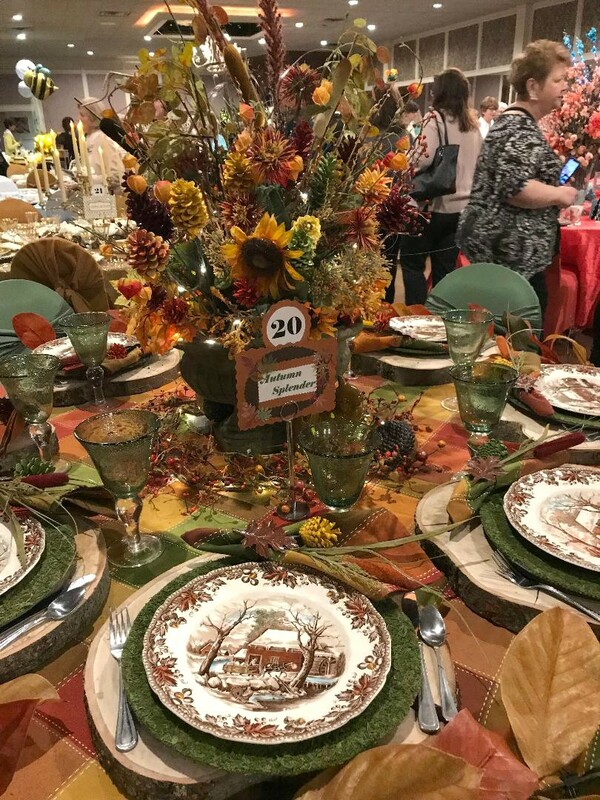 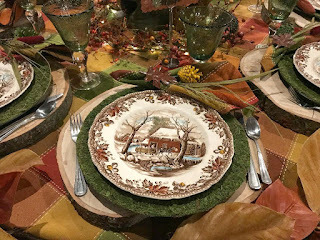 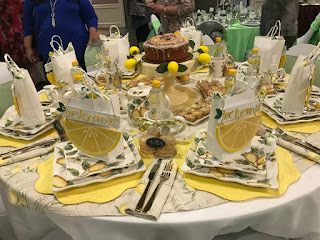 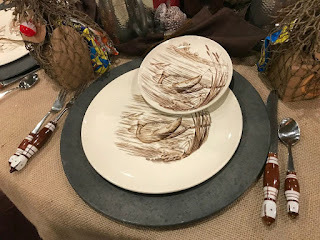 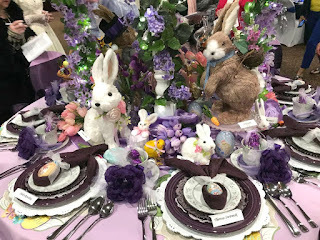 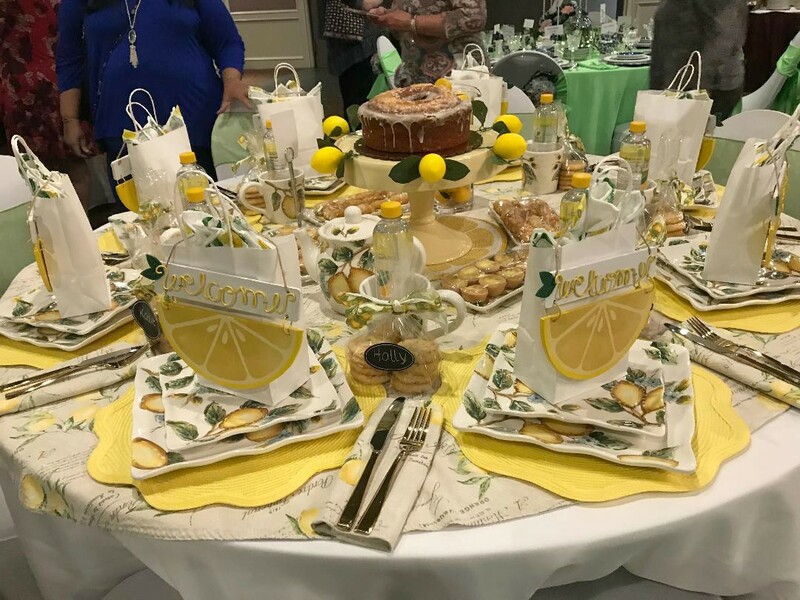 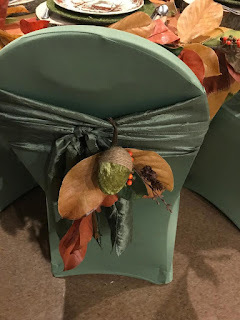 There were 60 tablescapes this year, and as usual I ran around like a mad woman photographing all of them within one hour. 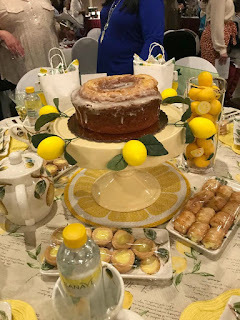 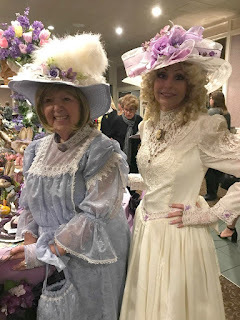 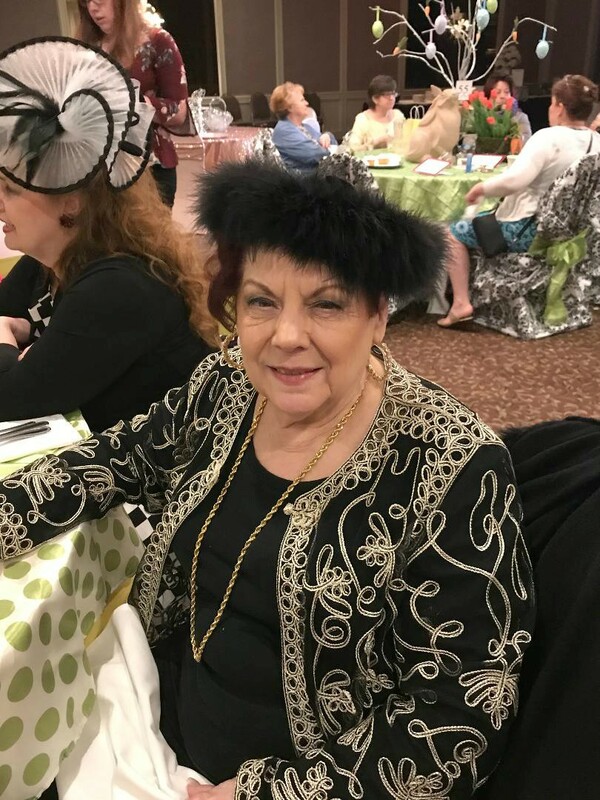 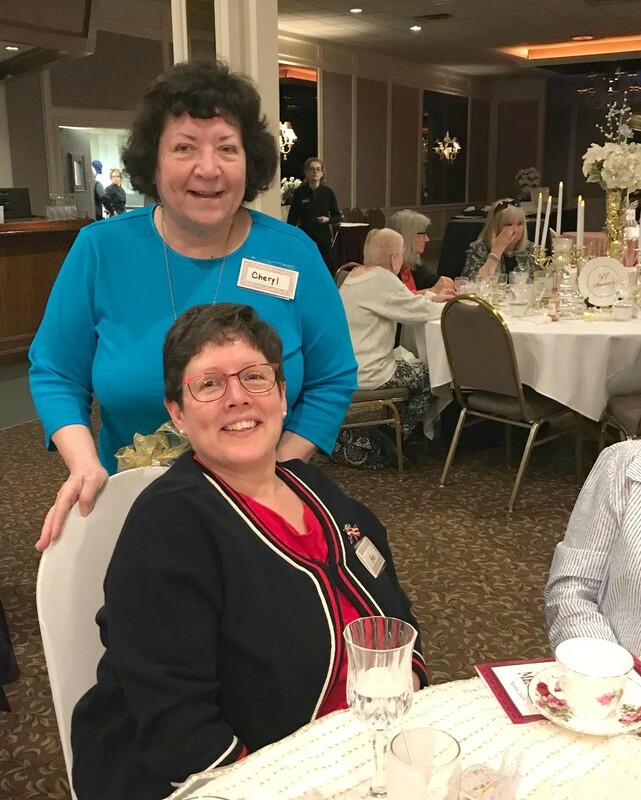 Five of the ten ladies who went on the Southern Tea Time Getaway last May, were at the luncheon, so I took their picture. 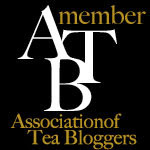 It hardly seems possible that almost a year has passed since we went on that phenomenal trip! 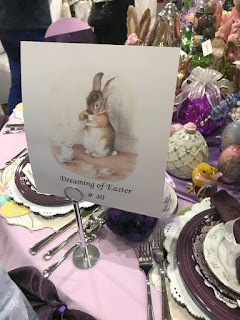 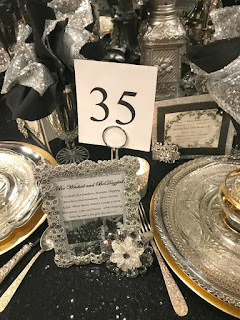 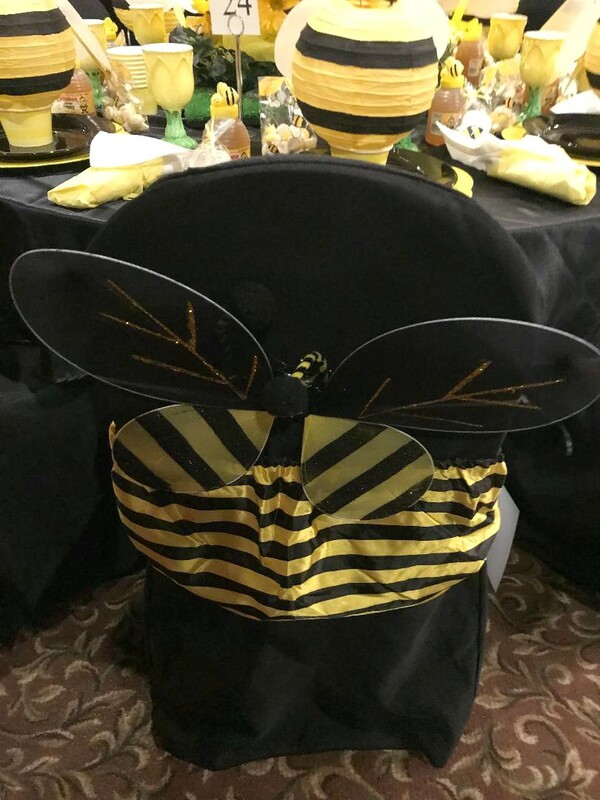 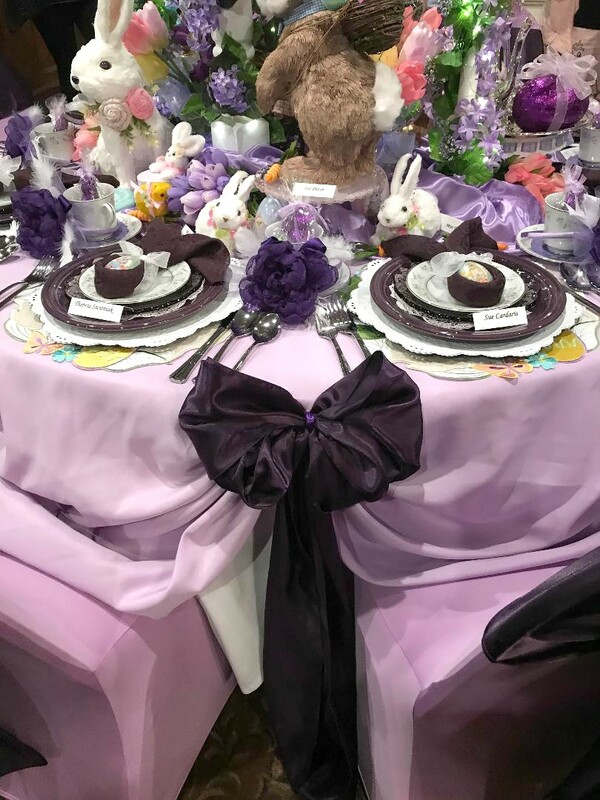 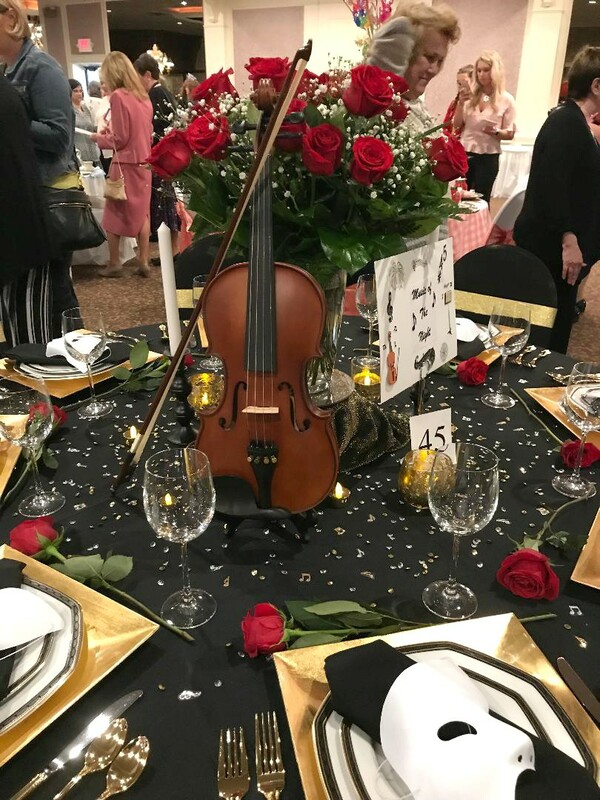 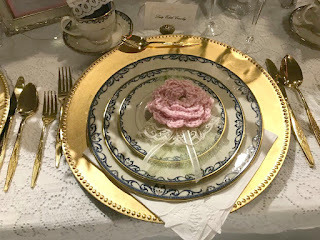 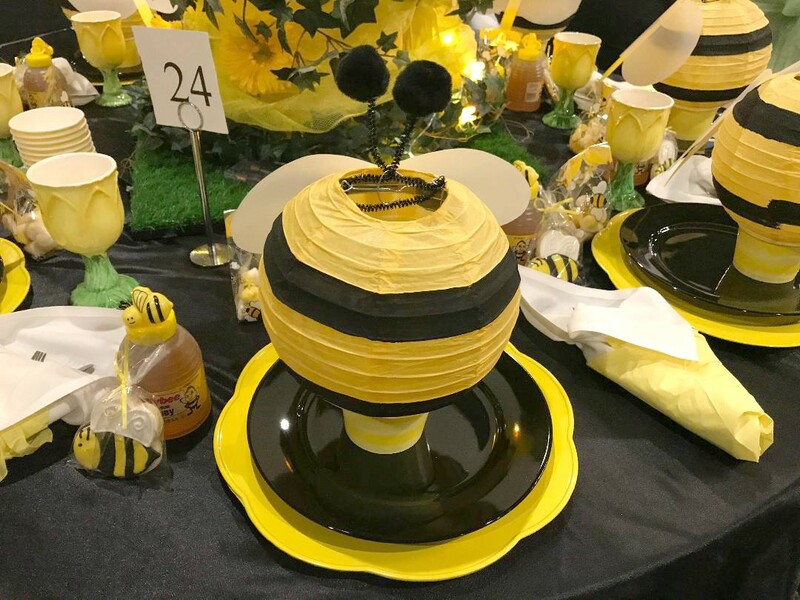 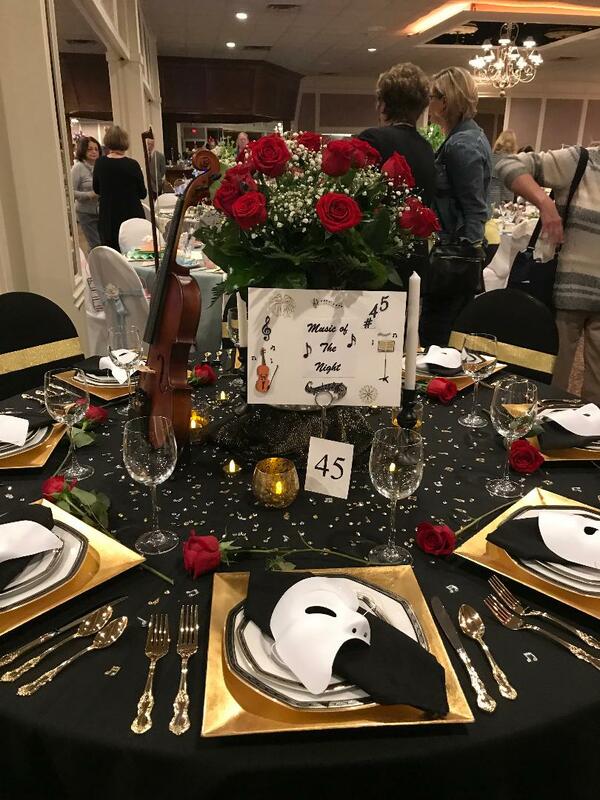 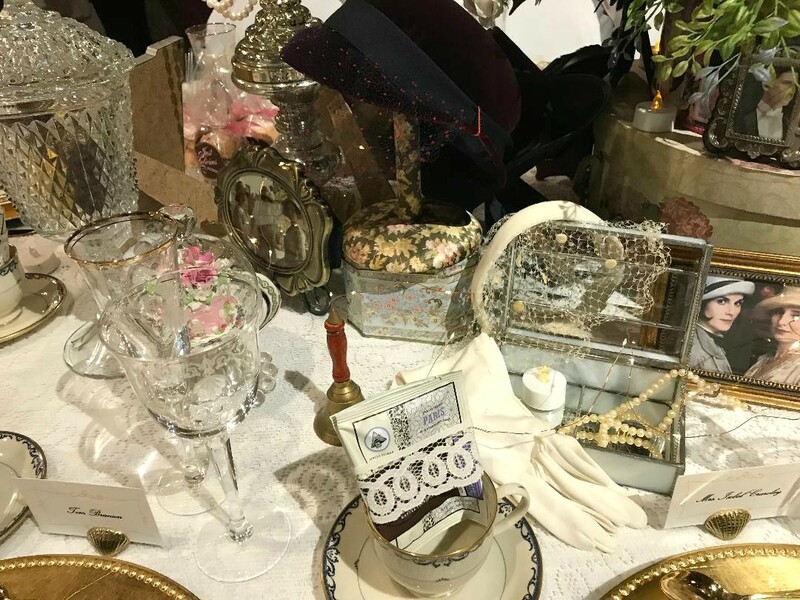 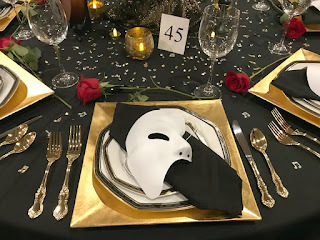 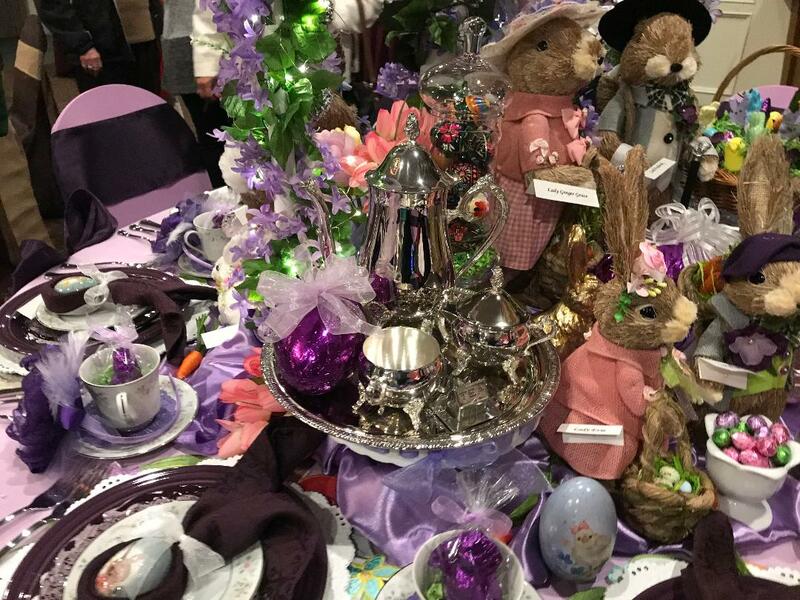 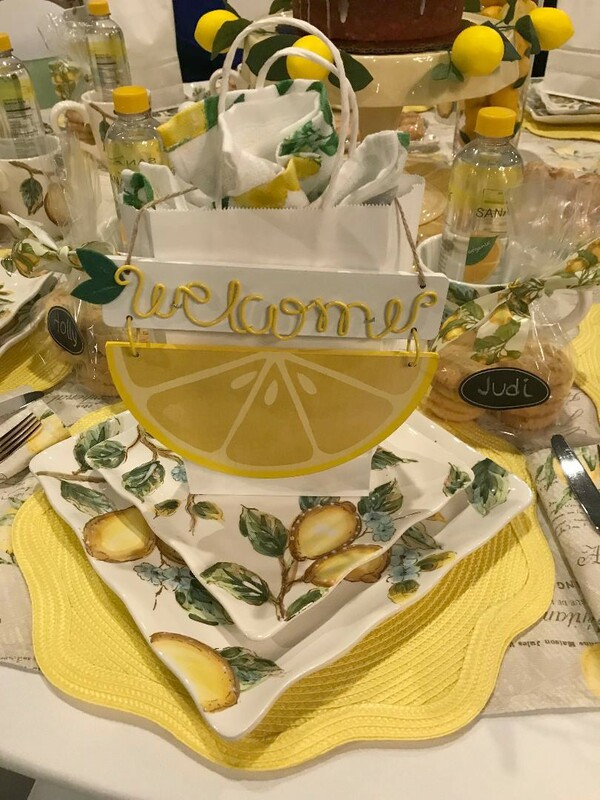 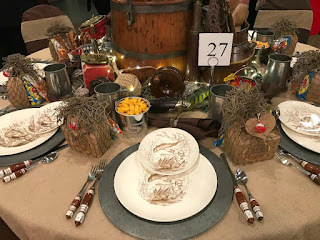 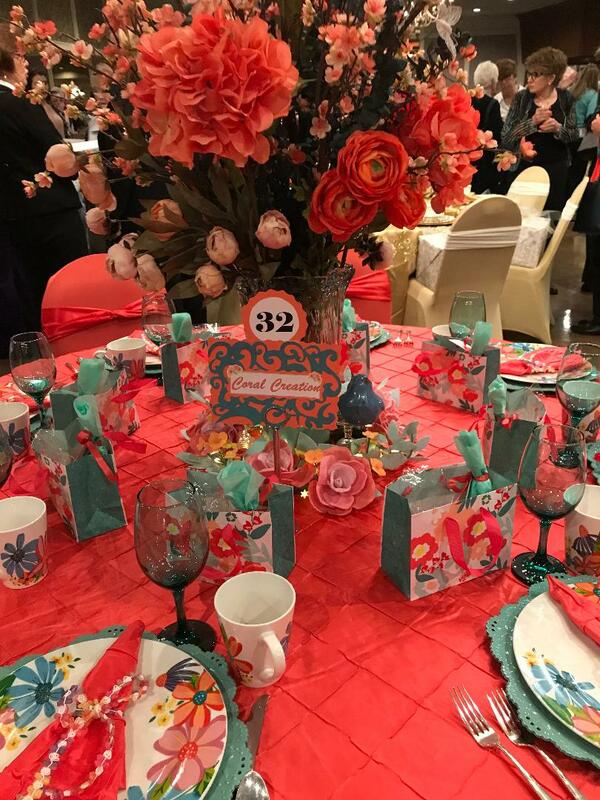 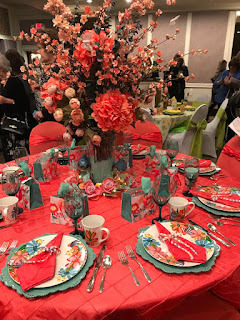 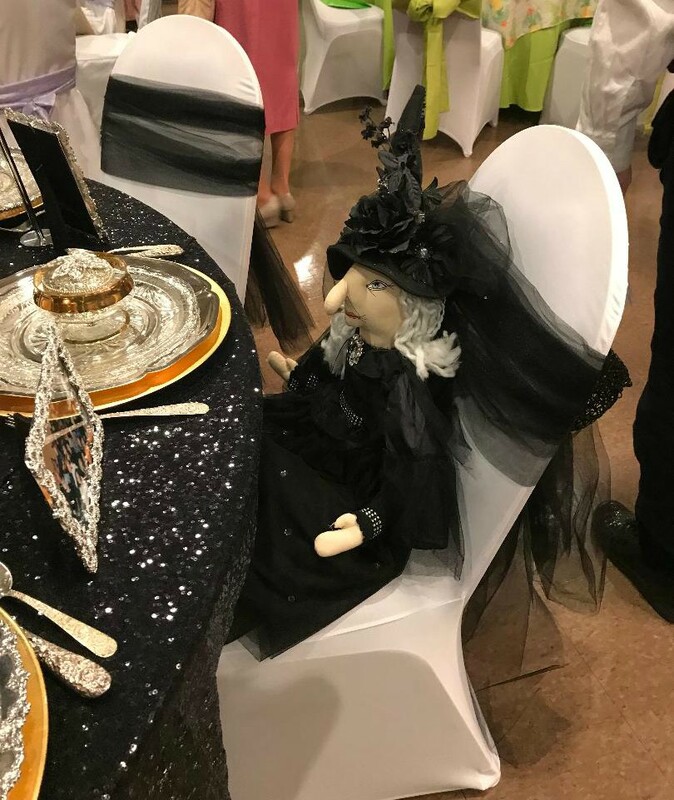 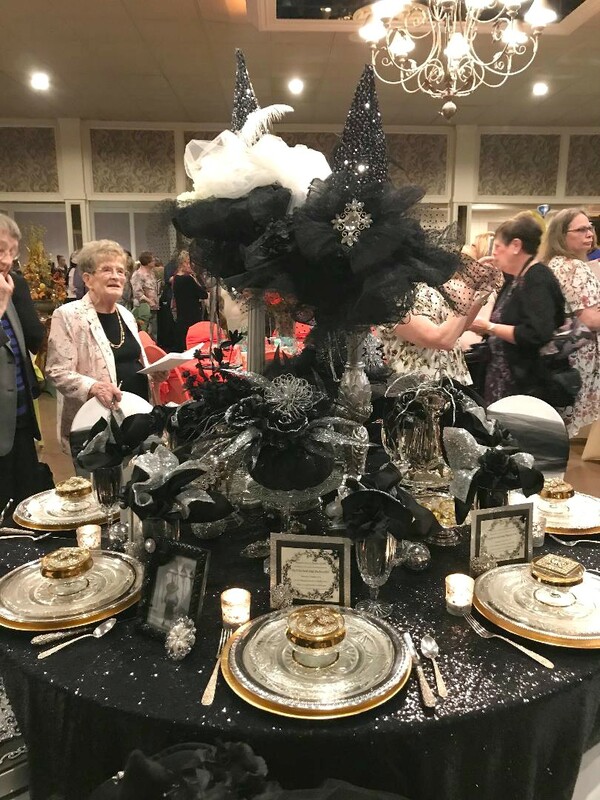 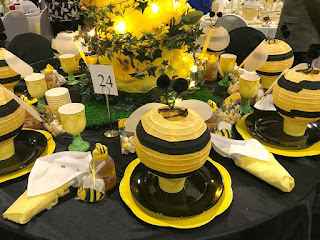 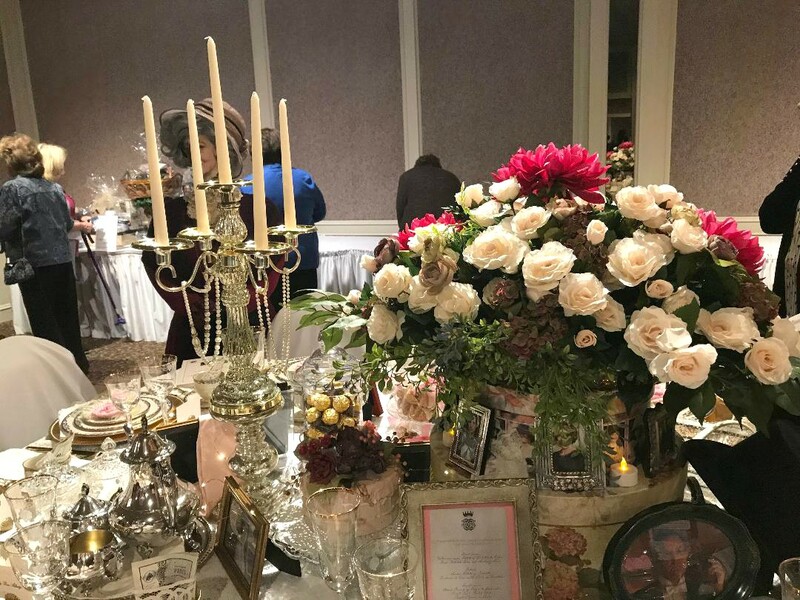 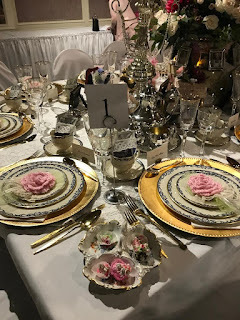 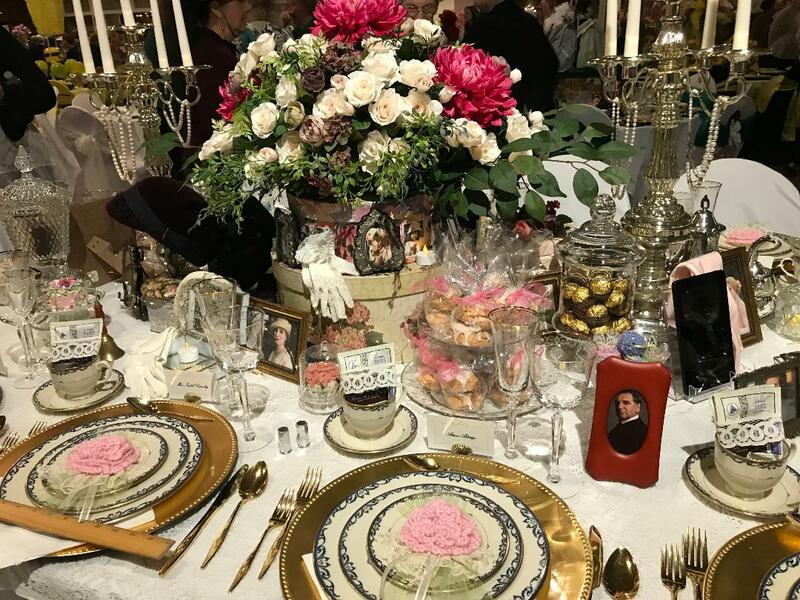 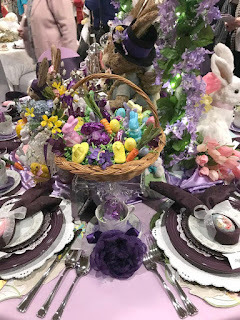 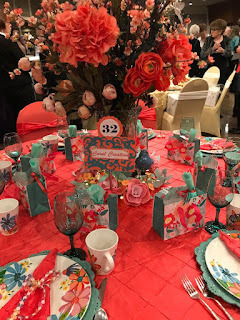 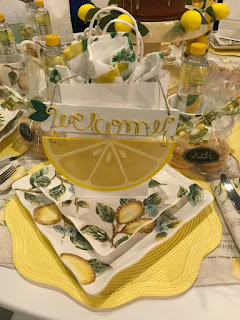 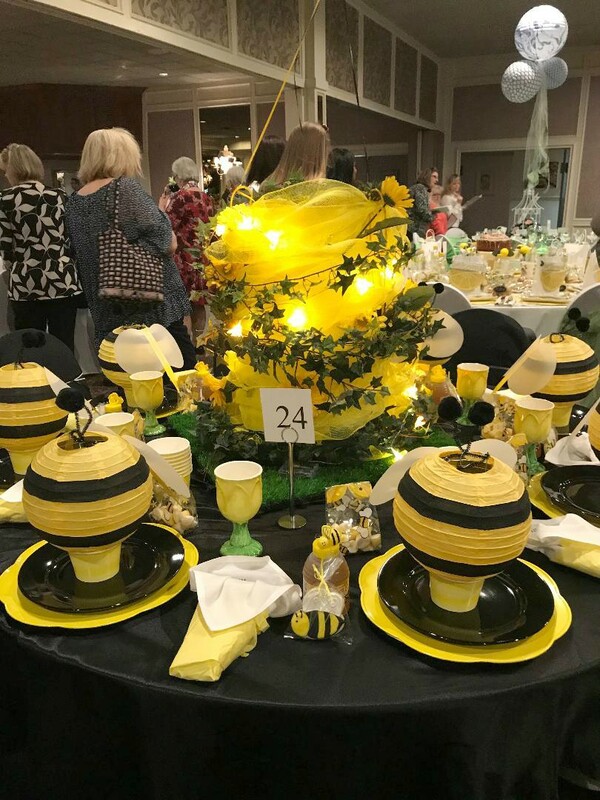 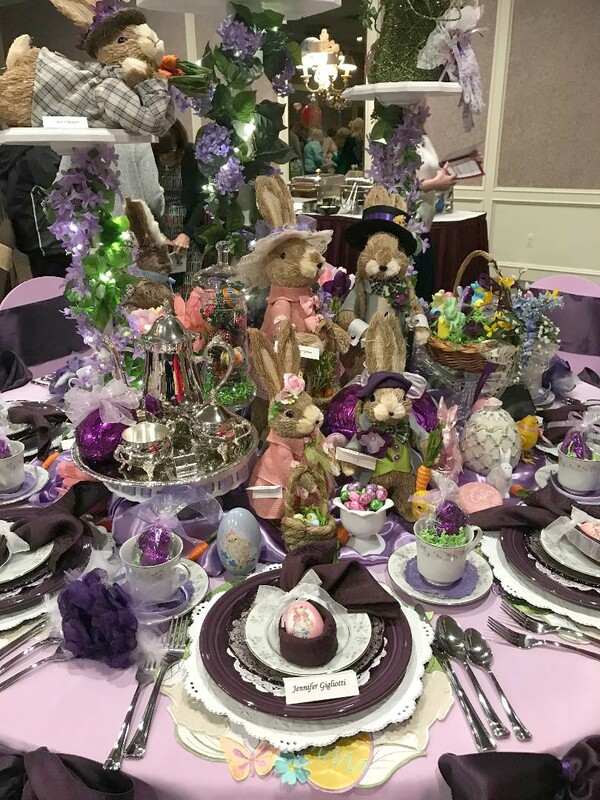 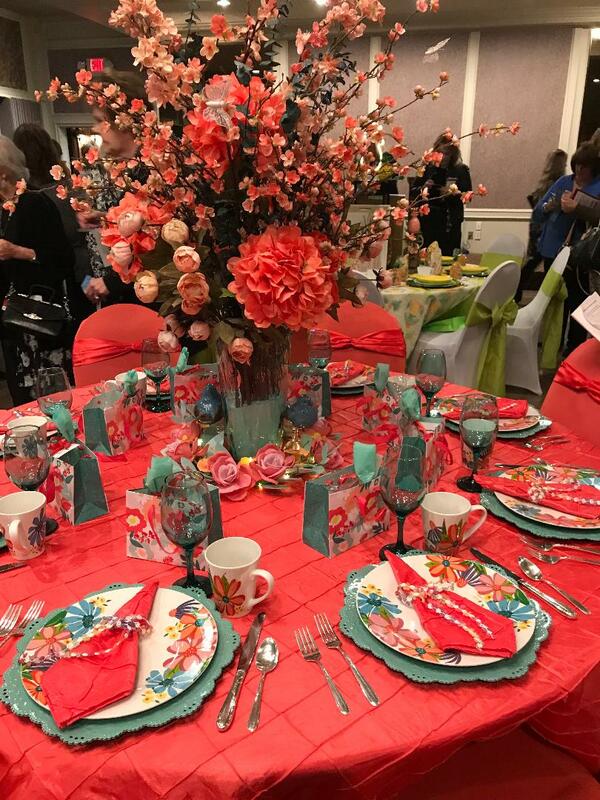 It was a lovely event and the tables were so creative and detailed. 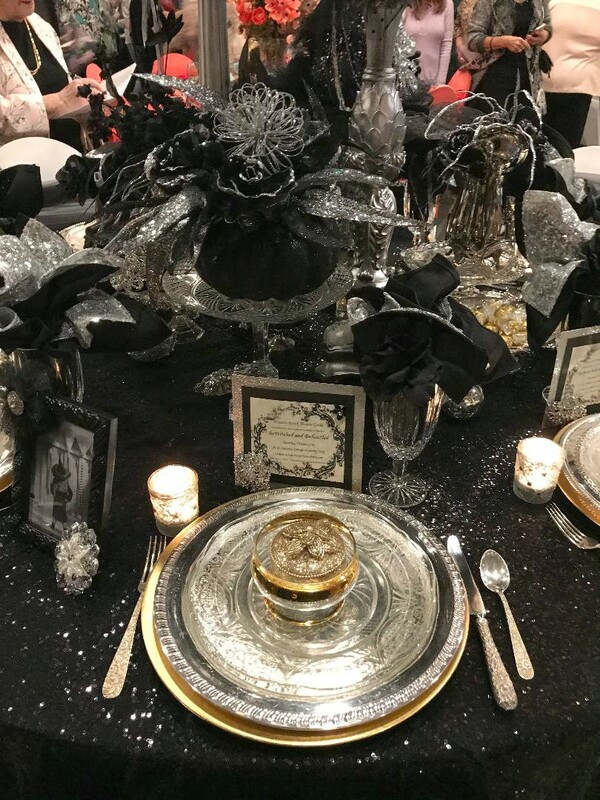 The pictures really don't do them justice. 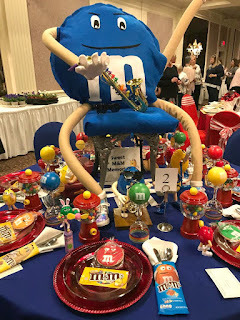 In this post I'm only going to share the top ten tables. 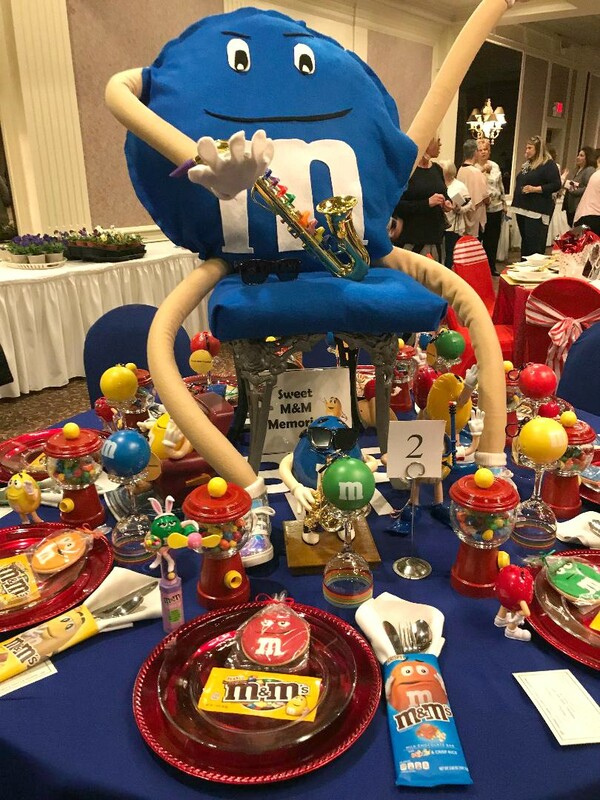 Attendees vote on the top five, but they gave a tally on the top ten. It truth, all 60 were winners, because every table represented so much time and effort. 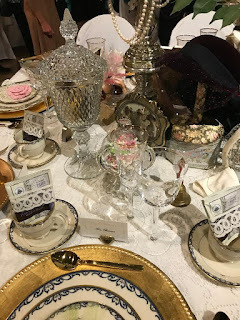 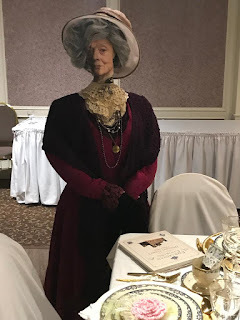 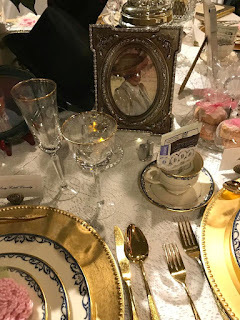 #2 Table 1 Downton Abbey - the Dowager Countess was even there, and for added ambience they had the theme music from Downton Abbey playing! 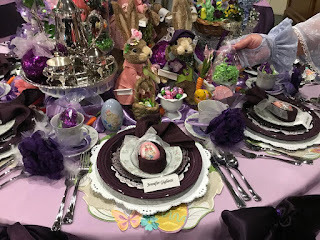 There was so much detail to this table I had to take several pictures. I sat at Table #42 Blue Christmas, so I had to give it honorable mention. 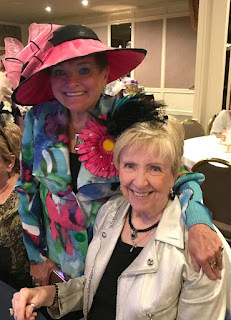 Great to see you, Phyllis, and thank you for posting these photos. 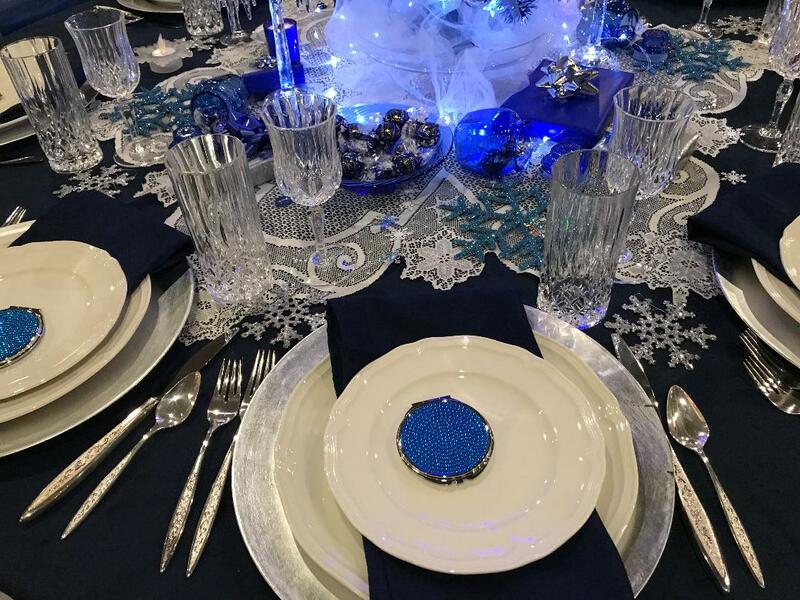 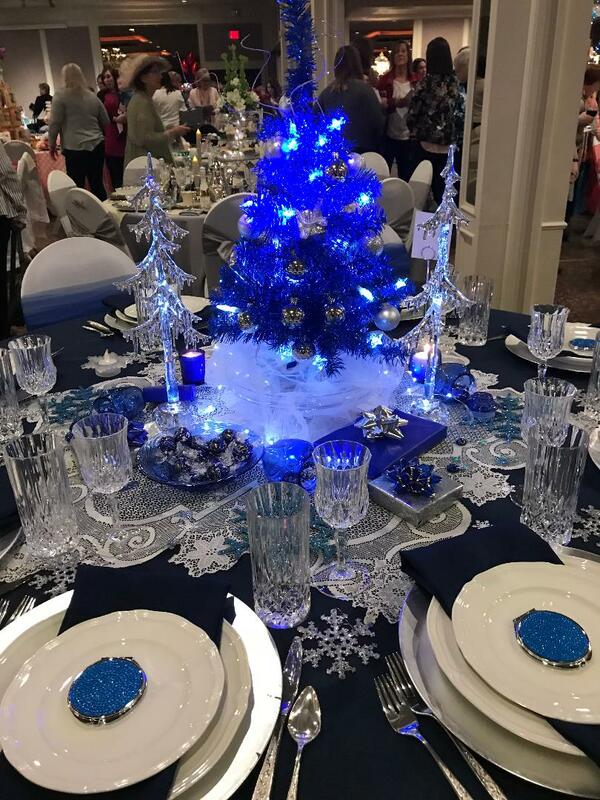 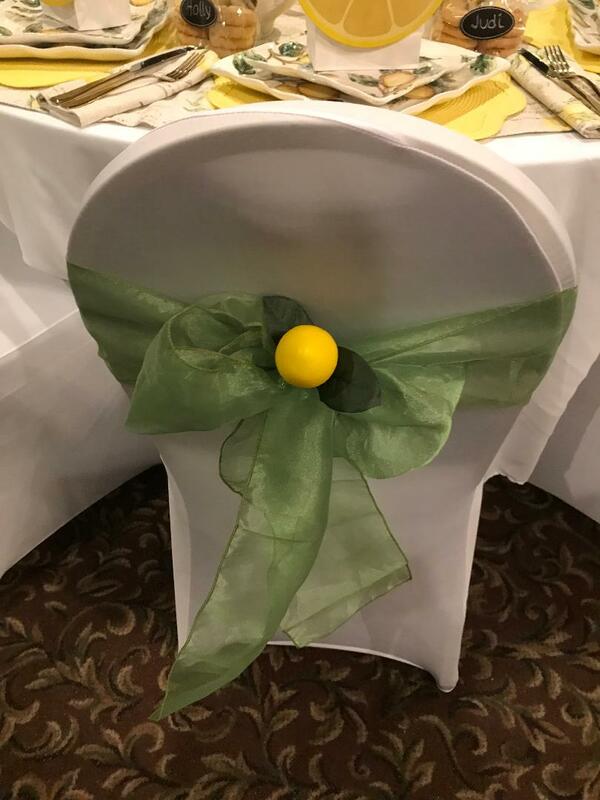 Your table, Blue Christmas, was decorated by our chapter member Joann Mulso. 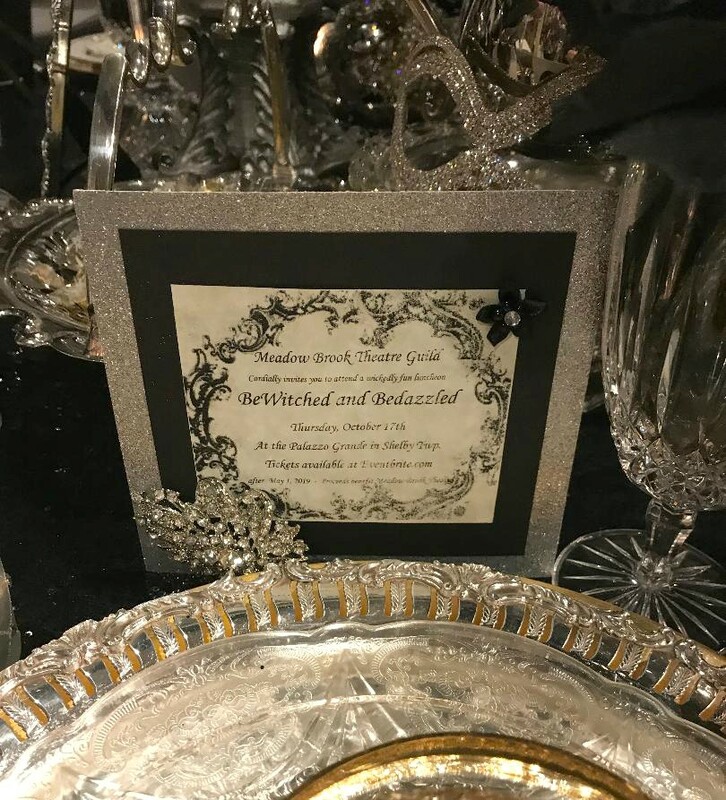 I know she'll be thrilled to see your photos.